Quote Reply Topic: Problem carburetor -15°C ? I confirm that I am using P3DV4.4. Problem carburetor -20°C ?? ?, and with carburetor heating -15°C ??? 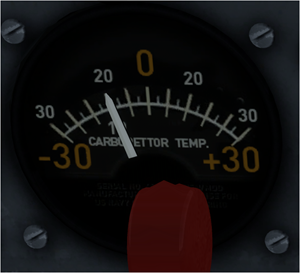 Everything is fine except the temperature of the carburetor gauge. the programming in XML or gauge at invert the needle of the temperature. I am very happy with JUSTFLIGHT - DHC-3 OTTER FSX P3D is the best addon of DHC3.